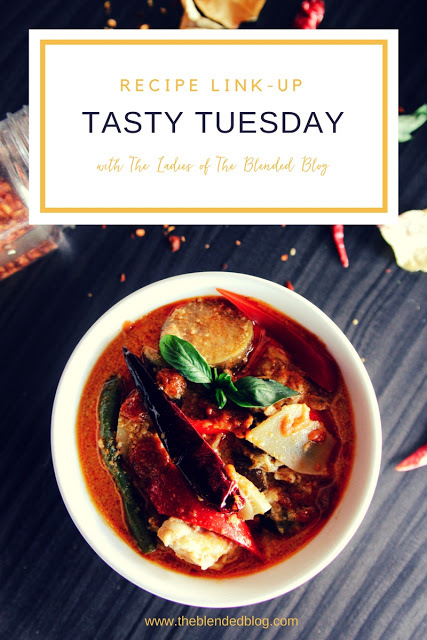 Welcome to Tasty Tuesday here at The Blended Blog where you can linkup your favorite recipes and take away some delicious dishes to try. I'm Shelly from The Queen in Between blog and I hope you don't mind but I'm sharing three of my favorite clean recipes today. 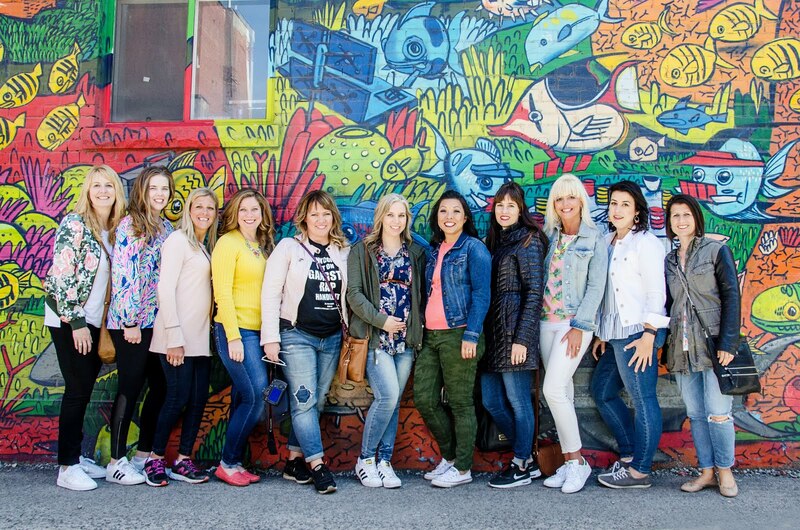 For me, summer comes with a little less taxing schedule and more nights at home so it is the perfect time for more intentional meal planning. This month I've been participating in a healthy eating challenge which has given me a little more accountability too! Here are three of the recipes which carried me through many days of breakfast and lunch for the week. 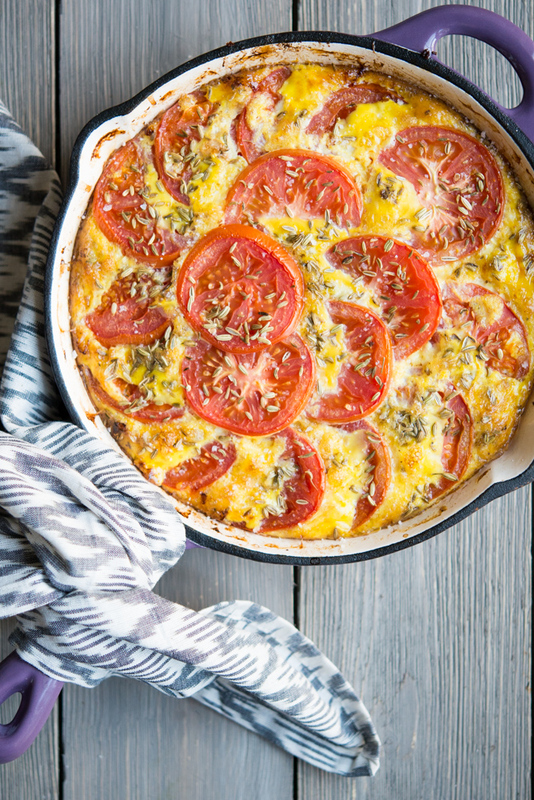 Using the Sausage and Tomato Frittata recipe from Fed and Fit, I created this dish perfect to divide into 4-5 containers for easy breakfast during my work week. Super easy and reheats so nicely. This Bacon Avocado Chicken Salad is so delicious! I used a rotisserie chicken and turkey bacon and chose to eat mine wrapped in bib lettuce verses bread. It did last 3 days sealed in a ziploc but in the future I think I will opt to combine the chicken, bacon and spices and add the avocado daily instead to keep it a bit fresher. I think this would definitely be a great dish for a brunch for lunch get together. Using the Instant Pot, I cooked four pounds of chicken carnitas using this recipe to use for dinners throughout the week. The big trick is shredding the chicken and broiling in the oven until it's crispy; so delicious! I used the chicken for tacos such as these above using jicama tortillas and topped on a bed of lettuce for a yummy salad. I consider myself somewhat lucky to be a habitual eater and I do not mind the repetition for one week at a time. Prepping meals in this way helps me to stay on track and reduces the risk of choosing something less healthy when I'm in a pinch. Do you have a meal prep favorite you enjoy?